Celebrating its 65th anniversary season with the theme Thinking Big, the Olympia Symphony Orchestra will present its fourth concert of its five-concert season on March 25. 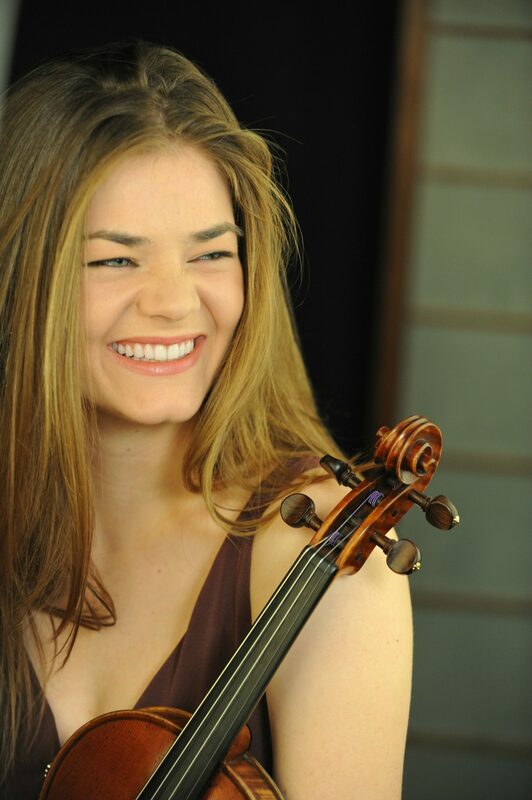 The concert, entitled “Northern Exposure,” will feature solo artist, Rebecca Anderson, whose appearance is sponsored by the R.L. 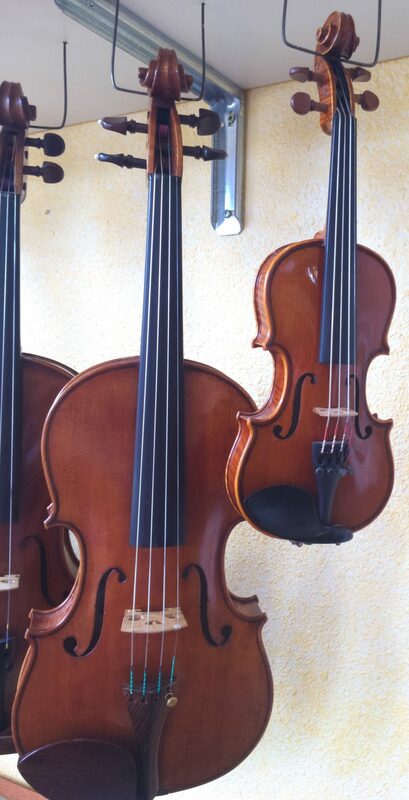 Ray Violin Shop. A Portland, Oregon native, Anderson is currently a fellow with Ensemble Connect in New York City. In addition to the concert, Anderson will be the guest instructor for a masterclass at the Olympia shop. The masterclass workshop will be held on Saturday, March 24, from 6:00 p.m. to 8:00 p.m. Jon Hanson, one of the owners of R.L. 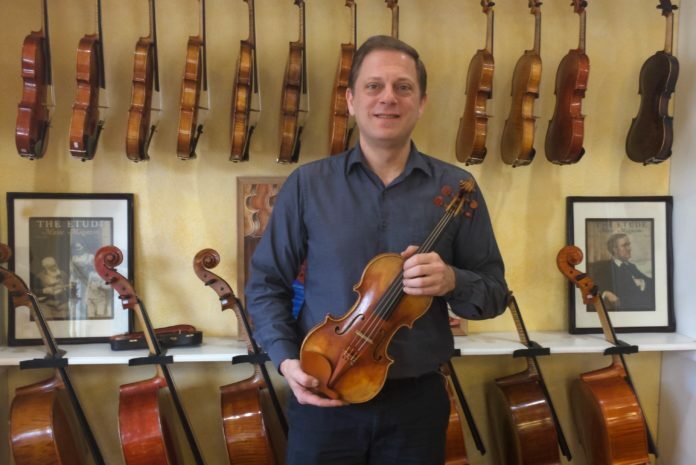 Ray Violin Shop, tells me that these events are very popular with the community. Masterclasses offer an opportunity for young musicians to work with professional performers one-on-one. Each student gets a chance to perform for the guest artist, then receives advice that can include technical approaches to playing and musical interpretation. Hanson encourages other students and musicians to attend as part of the audience as the advice given to the students is invaluable and can be applied to their own playing. Hanson began playing the violin at the age of six. He was enamored with the sound of the violin after hearing one played in church. His parents eagerly enrolled him in lessons shortly after. Growing up in Palmer, Alaska though, it was necessary to travel two hours twice a week to take violin lessons and participate in youth orchestras since neither were available in his hometown. “Students in Thurston County are very lucky because there are such strong string programs available here with so many great teachers.” He continues to say how players and students here have access to everything they need to get started and grow as musicians. Music and the arts are so important to the community. Countless hours of practice and study go into learning an instrument and many of those are spent playing music with others. An incredible amount of concentration, endurance and emotion are required and it all culminates with a performance to the audience. It’s one of the best ways to bring people together and makes the community stronger as a whole. Hanson is proud to be a sponsor of the Olympia Symphony Orchestra and feels fortunate to be a member of the violin section, himself. He says, “We are really privileged to have an orchestra of this caliber in our town.” The group has a strong following in the community and it gives the opportunity to hear great symphonic music locally. The OSO also serves as a great example for local students. It allows them to see their teachers perform and to experience symphonic performances at a high level. Jennifer Hermann, executive director of the Olympia Symphony Orchestra, says, “The partnership that we have with R.L. Ray is one of the relationships we treasure and hold very close to our hearts.” She emphasizes that R.L. Ray is overwhelmingly supportive of the symphony, especially when it comes to connecting students with the symphony by purchasing season tickets to sponsor student attendance at the concerts. “This support allows our concerts to have more of a lasting impact on younger people so that we can grow a new audience and ensure arts continue through the next generation,” continues Hermann. The March 25 concert takes place at the Washington Center for the Performing Arts in Olympia at 7:00 p.m. Tickets are currently on sale starting at $10.00. Student and military discounts are also available for many seating locations. 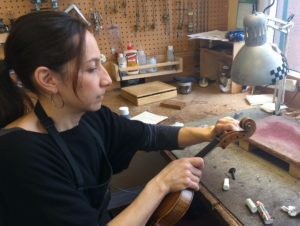 Cheryl Nizam is a luthier, one who makes or repairs stringed instruments. The violin she is working on has been in storage for some time and needs a little TLC to get it back into shape. Jon Hanson encourages you to check out R.L. Ray’s Facebook to get a look at upcoming events they are hosting or, better yet, come down to the shop, take a look at the instruments and have a chat. You might be inspired by the sound of a violin, too. Learn more about the Olympia Symphony Orchestra via their website and Facebook page. Tuesday – Friday, 12:00 p.m. – 6:00 p.m.